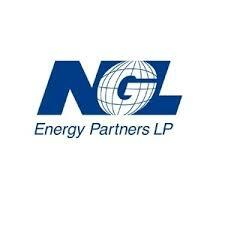 Tulsa-based NGL Energy Partners LP announced on Thursday that it posted $26.5 million in net income for the fourth quarter and $143.9 million for Fiscal Year 2017, according to a company press release. This compares with last year’s net losses of $207 million and $187.1 million, respectively. Earlier in February, NGL issued $500 million of 6.125% Senior Notes due 2025 and received net proceeds from the issuance of nearly $491.3 million, which was used to reduce outstanding debt. NGL also issued more than 10 million common units and received $222.5 million in net proceeds to further reduce outstanding debt. The company’s total liquidity (cash plus available capacity on the revolving credit facility) was nearly $874 million as of March 31, 2017. Increased competition due to lower production distressed the Crude Oil Logistics segment. The Partnership’s quarterly results were also impacted by the flattening of crude oil during the quarter. Refined products sold during the fourth quarter totaled nearly 37.1 million barrels. They increased by almost 9.3 million barrels compared to the same period from a year ago due to an increase in pipeline capacity rights purchased over the previous year and an expansion of refined products operations. Renewable barrels for the fourth quarter totaled 1.9 million, compared to 1.7 million from a year ago.